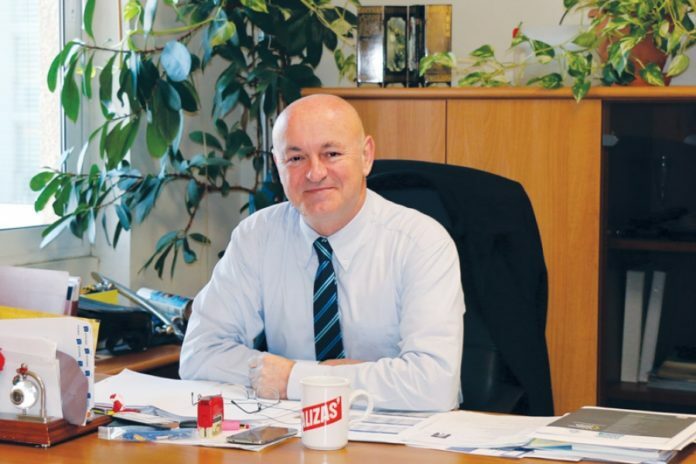 Mr. Stavros Lalizas, CEO of LALIZAS Group. beginning aimed at manufacturing the best life saving appliances in terms of quality and at improving the safety for the workforce in the industry as well as the vessels. Maintaining this vision, LALIZAS organized the 3-day LALIZAS Convention 2019, which took place on January 17-19 at the LALIZAS HQ in Greece, with a full house in attendance. The convention was held for the members of the LALIZAS family, including our top skilled managers and sales engineers from LALIZAS branches across the globe. Key themes of the convention were the exceptional results that were achieved in 2018, guaranteeing perpetual success and the main goals which are being pursued during 2019. A clear orientation and appreciation towards people was also stated. LALIZAS brand focuses on supporting the workforce by continuous training, motivating the employees by expanding the job opportunities within the LALIZAS Group, and also promotes diversity in all departments, which is confirmed by the fact, that more than 25 different languages are spoken in the LALIZAS Group. Additionally, the top speakers at the convention covered a broad range of objectives, like the potential that exists for growth and development within the industry, the factors that affect multiple sectors of the industry, and they also confronted the industry’s challenges with optimism and by analyzing facts from different segments. The keynote speech was given by Mr. Stavros Lalizas, CEO of LALIZAS Group, who set the tone for an enlightening day and for the future expansion of operations of LALIZAS brand. Highlights of his speech were both acquisitions of Alexander/Ryan Marine & Safety and Antipiros. The LALIZAS Convention 2019 rounded up with an opportunity for colleagues to exchange ideas, to elaborate on different matters and to bond with the international LALIZAS workforce in a friendly atmosphere at the annual New Year’s event, while celebrating their successes and results.